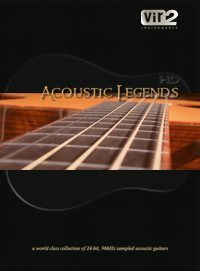 In my first commercial foray into the world of virtual instruments, I’ve just finished producing Vir2 Instruments’ Acoustic Legends HD sample library. This product is a collection of meticulously sampled acoustic guitars, recorded at 24-bit 96KHz, and played by Los Angeles guitarist Michael Elsner. We recorded a large collection of guitars: Martins, Taylors, Gibsons, 6-strings, 12-strings, single notes, chords, various articulations, and so on. In total, 19GB of sample content made it into the library, and it’s bundled with the Native Instruments Kontakt Player. I’ve personally ended up using Acoustic Legends HD a great deal in my own music, especially when the production calls for finger-picking, which it’s able to pull off extremely well. Included in the library are several different steel string guitars, nylon strings, twelve strings, acoustic bass, as well as a bonus folder featuring mandolin, ukulele, and banjo. 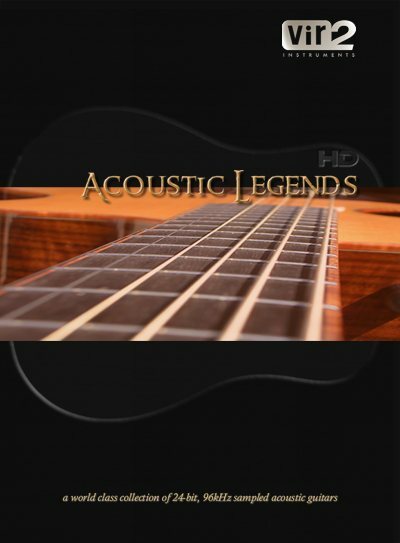 Acoustic Legends HD features the world’s best guitars from McPherson, Taylor, Gibson, Martin, and other manufacturers.